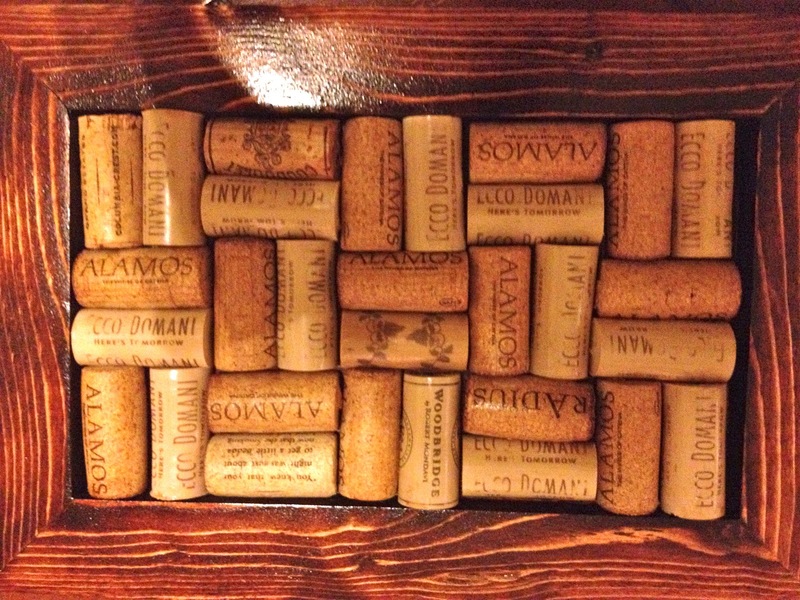 I decided to make my mom a serving tray out of wine corks for Christmas. I wanted it to be personal and for every aspect of it to be homemade. We collected wine corks (It took a while for people who don't drink wine often, and we may or may not have taken the wine corks from all of the tables at Navy/Marine Corps Ball to use for this craft- keeping it classy). Anyway, we laid out the wine corks in the size and pattern we wanted, and then Parker took the measurements to make the frame. I love that he is so handy. 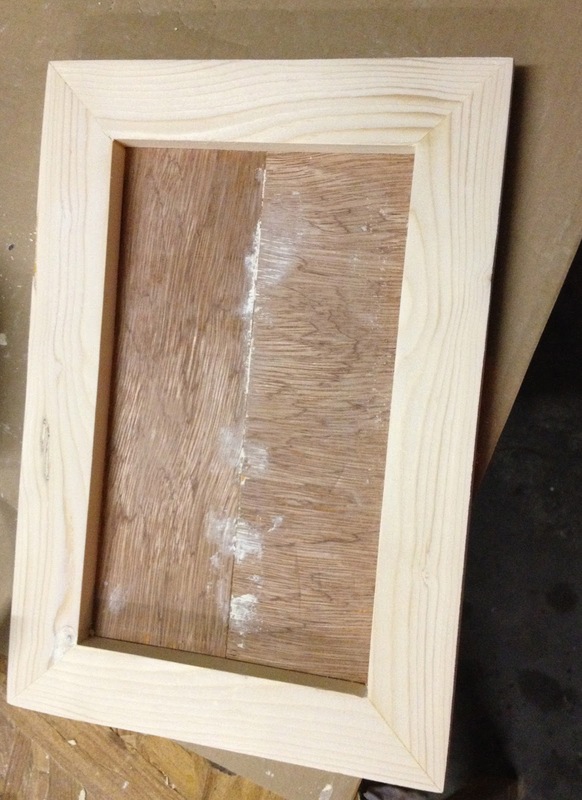 We then put two coats of stain on the frame. I couldn't get the color exactly like I wanted, so I used a different color for the first and second coat to get it just right. We had various cans of stain laying around from previous projects, so I just worked with what we had. 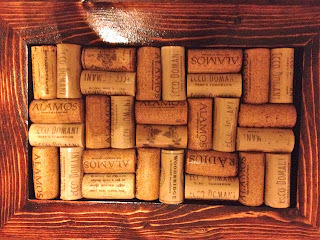 We let it dry and placed the corks in the frame to get an idea of the proper spacing. We used wood glue liberally to attach the corks and let dry overnight. After a couple coats of polyurethane to seal it, it was done! My mom with her gift on Christmas morning! Weekends, Why Must You End?